2015 China Grand Rally (CGR) was crowned with a complete success in Dunhuang,Gansu province on the afternoon of September 11th. In the racing of Cars,after 13 satges of the intense competition,Team Peugeot’s Stéphane Peterhansel/Jean-Paul Cottret and Cyril Despres/David Castera Peugeot swept the gold and silver medals,while Han Wei/Pan Hongyu from Team Haval won the third place who also won the annual drivers’ championship. As for the racing of Motorcycle,Armand Monleón Hernandez from Team KTMR 2R was awarded the gold medal. And the silver and bronze medals were awarded to Su Wenmin (Jincheng Rally) and Zhao Hongyi (KTMR 2R). In the ATV racing,Hu Aidong from Bombardier won the championship. Started from Xi’an,the starting point of the silk road,after a two-week’s intense competition,total 13 stages,6000 kilometers,the racers passed through numerous cities,finally reached the finishing line in Dunhuang. As the most difficult rally in the world,2015 CGR attracts both well-known teams and top racers from home and abroad. For the racers,the extreme environmental conditions is an ordeal,while for the orgnizers of this event,it is an challenge to build the campsite in such an extreme condition. 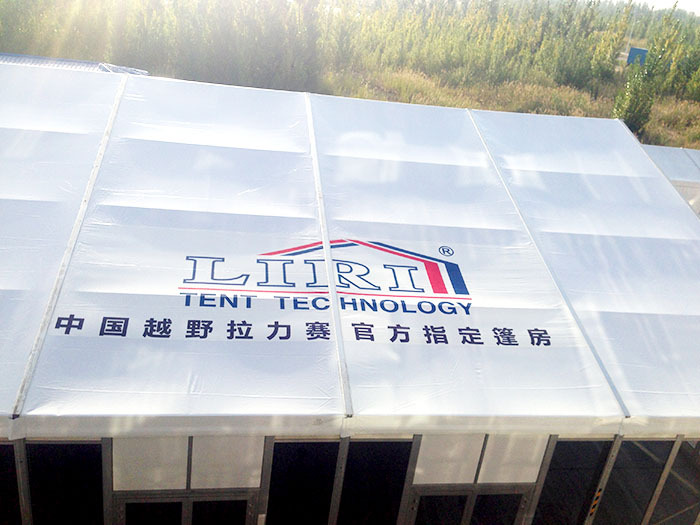 As the nominated official tent supplier of 2015 CGR,Liri Tent offered the high quality aluminum tents and professional tent services to this grand event. 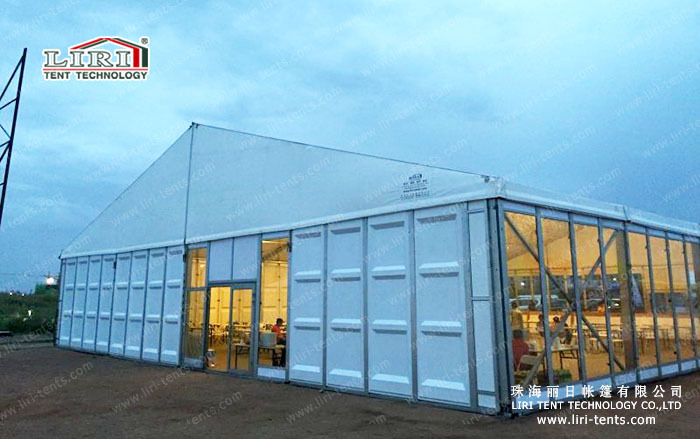 The tents of high quality makes it possible for the racers to tatse the food and enjoy the leisure time under a safety and harmony spaces after the intensive competition. The tents used for the 2015 CGR adopt the double sides thickened PVC surface. It performs well in terms of waterproofness,anti-UV,wind resistance,dust prevention,and so on. It can resist the wind at the speed of 100km/h. Besides,the tents are equiped with the air conditioners. Because of this,they can be used as the restaurant as well as the rest area. Also,to make it more human-friendly,Liri Tent has prepared the charging stations in each tenty. We hope this effort can make all the racers and audiences enjoy this events without worrying about their phone and electrical devices.